Give your restroom space the feel of eternal magnificence with Classique's 18mm shoe box up series-Grandeur. 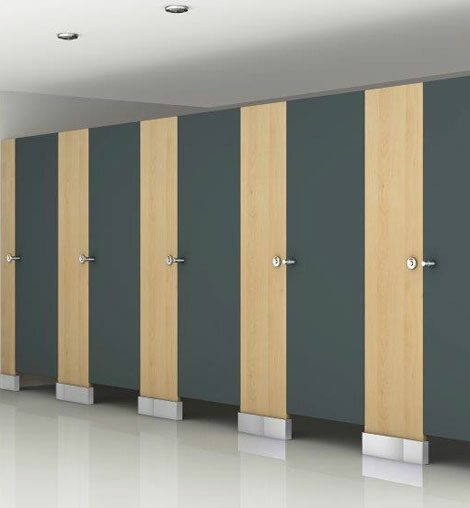 Formulated by using 18mm thick Compact Laminate to provide greater strength to the cubicle setup because of which the top rail arrangement becomes avoidable. Therefore, its composition creates a clear space at the top and user's height doesn't become a constraint. 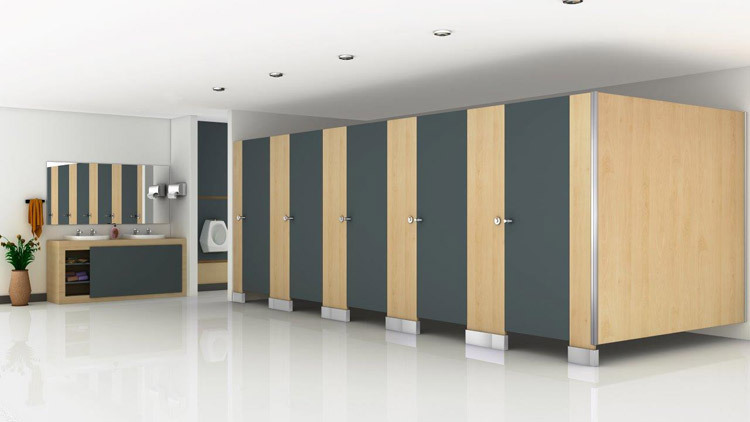 An inspiring range of restroom cubicles especially built for providing higher durability and easier height adjustments. Its easy to operate height adjustments are hidden inside the stainless steel box up, located at the foot of each pilaster. Thereby making it a truly adaptable system that can vary in height to suit the site's requirements. This model is recommended for airports, commercial complexes, sports clubs, stadiums and gyms as it is highly in demand for people who are tall.